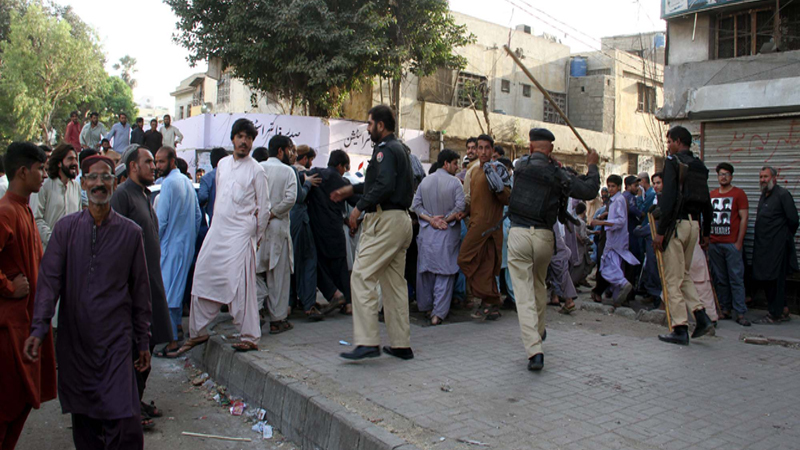 Authorities on Monday began an extensive operation to remove encroachments in the metropolis’ Saddar area. 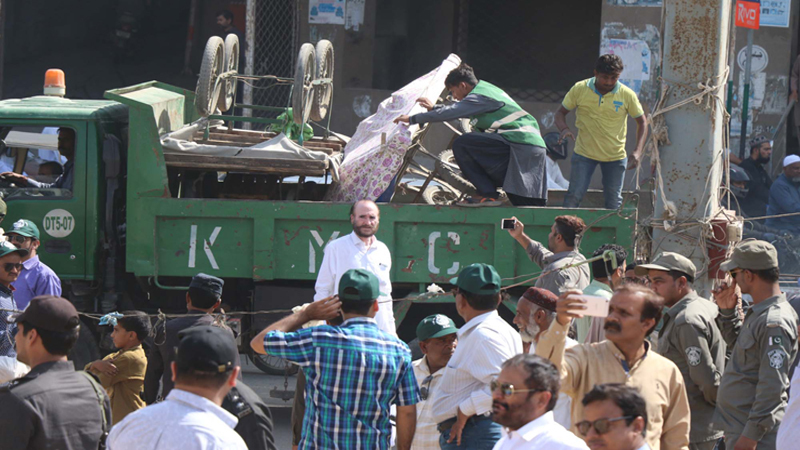 Daily Times learnt that KMC’s anti-encroachment workers, heavy contingents of police and Rangers and K-Electric team participated in the operation. Moreover, the operation against the illegal encroachment was also launched around Empress Market and Parking Plaza as well. A bench headed by Chief Justice Saqib Nisar, on October 27, had heard a case against land mafia in Karachi at the Supreme Court’s Karachi registry. 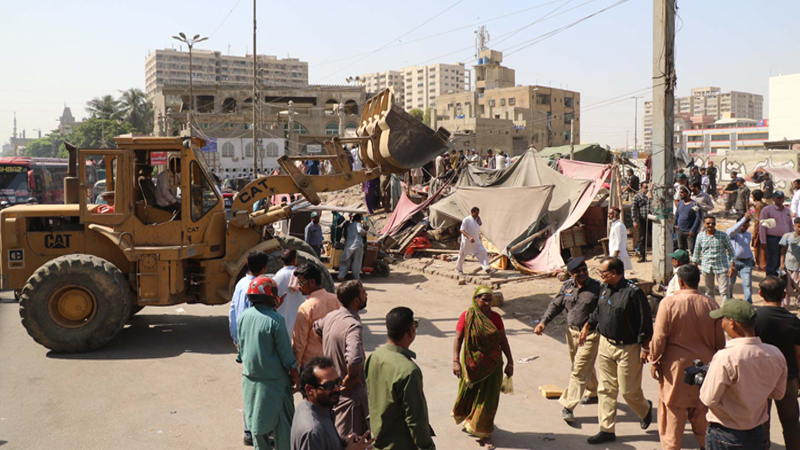 During the hearing, attended by Karachi Mayor Waseem Akhtar and Ameer Sheikh, the additional inspector-general of police (AIG) for Karachi, Justice Nisar had asked IG Karachi if he was going to remove the illegal encroachments. The mayor had told the court that more than 70 percent of the Empress Market had been cleared. 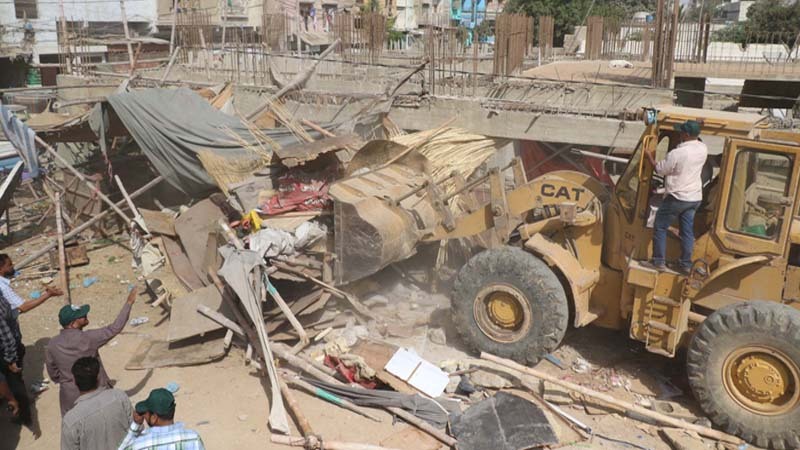 In May 2018, a similar operation was carried out; however, the encroachments had remained in place.